The cost-effective PN9002 test simplifies the testing and analysis of pulse-to-pulse amplitude and phase stability for radar systems and components to 18GHz. Radar component and system testing usually evokes images of complex, expensive measurement systems occupying multiple equipment racks. In some cases, radar equipment designers have even used entire radar systems as a proving ground for their new components and modules. With the introduction of the PN9002 pulse-to-pulse radar stability test set from Noise eXtended Technologies, radar testing has become significantly less complex and costly. 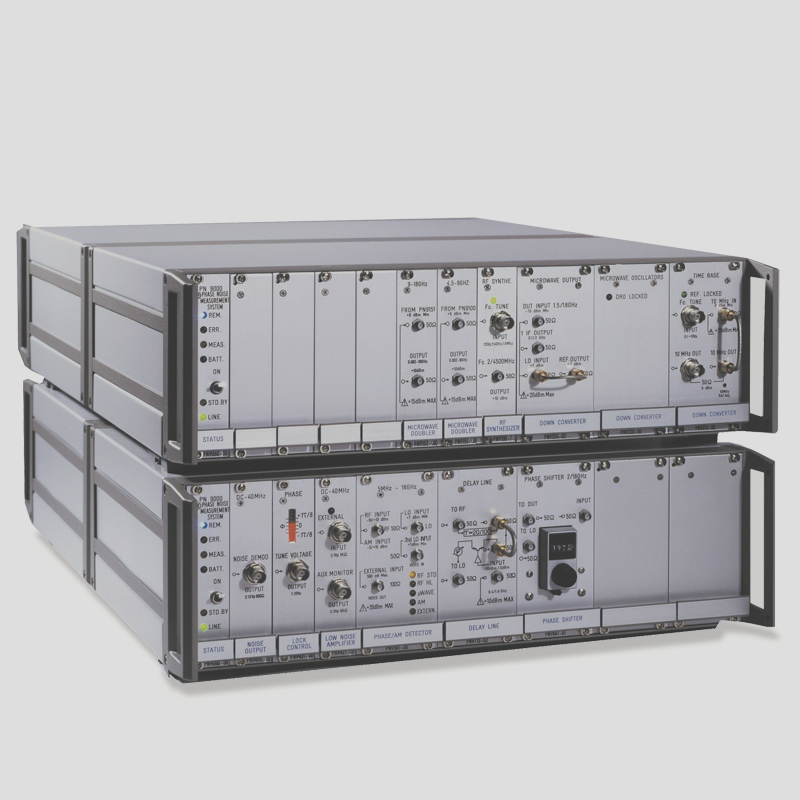 The modular PN9002 system provides outstanding dynamic range at frequencies from 2 to 18 GHz and optionally from 0.4 to 18 GHz. The PN9002 replaces “home-built” radar measurement systems. The basic (“starting”) PN9002 system includes a generator rack with a pattern generator, low-noise frequency synthesizer, and pulse modulator. The PN9002 can analyze from 4 to 1024 pulses per burst. Option 1: 400 MHZ to 18 GHz Input frequency. Option 2: Dual Channel system measuring Amplitude and Phase simultaneously. We also offer custom modules to suit your application.